Skin Cancers often look harmless, and harmless lesions often look nasty. Not all skin cancers look ugly. At its most basic level, skin cancer is nothing more than the uncontrolled growth of abnormal skin cells. Skin cancer grows over weeks in the case of aggressive melanoma or squamous cell carcinoma, and over months or even years in the case of BCC. Biopsy is usually required to establish a diagnosis. Early diagnosis leads to better outcomes & easier treatment. For example, some types of IEC & BCC may be treated with skin cancer cream or gel. Melanoma is the most deadly form of skin cancer. They are triggered when unrepaired DNA damage triggers mutations in skin cells. These mutated cells multiply rapidly and form tumors. The initial damage is usually caused by exposure to ultraviolet light from the sun or tanning beds. These tumors originate in the basal cell layer of the epidermis. When recognized and treated early, melanomas are almost always curable. If left undiagnosed and untreated, melanomas can spread to other parts of the body where they become hard to treat and can be fatal. Basal cell carcinoma (BCC) has a number of causes. BCC has both genetic and environmental causes. Long-term exposure to the sun, or brief but intense exposure that results in sunburn, can contribute to BCC. Those with fair skin and blue, green, or grey eyes have a higher risk. When BCC appears in an area that has not been exposed to the sun, or in a very young person, other possible culprits can be exposure to arsenic, or radiation; complications in healing from a burn, or a wound; or even an infection, vaccination, or tattoo. Australian guidelines recommend 6 monthly skin checks for at least 2 years after the diagnosis of a BCC. SCC is the second most common form of skin cancer & is mostly caused by the cumulative effect of sun exposure on the skin. SCC typically occur in areas exposed to sunlight. However, SCC can occur in the mucous membranes and genital areas as well. The skin cancer is caused by uncontrolled growth of cells in the upper levels of the skin. They can look scaly or take on the appearance of ulcer or a wart. Intraepidermal carcinoma (IEC) is an SCC that is very superficial. The ratio of BCC to SCC is 6:1 in Brisbane and 2:1 in North Queensland. These are known as sunspots and are not a true skin cancer. Sunspots are considered precanceous. 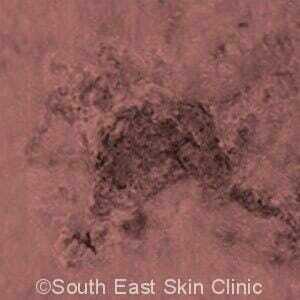 The use of the word ‘solar’ in the name makes it clear that this skin damage is caused by ultraviolet (UV) light. UV exposure in tanning beds can also cause this type of skin damage. These lesions commonly form on places that are easily exposed to the sun such as the face, ears, and the backs of your hands. Sunspots are really very common in South East Queensland. The risk of a single sunspot turning into a skin cancer (SCC) is around 1%. However, sun spots tend to occur in large numbers. ‘Good’ in one way, annoying in others! Catch on clothing, itch or even bleed. Skin tags are commonly to blame. Be cosmetically unwanted. Seborrhoeic Keratosis is the most common culprit. Have a likeness with a skin cancer. Many people attending a skin cancer clinic regularly have had a biopsy at some stage. Seborrhoeic Keratosis, those warty things, are the bane of many Sun-loving Queenslanders. Simply known as a ‘Seb K’ they are really common as we get older! It is unusual for a 50 year old not to have one. They start to appear after the age of 30. Some people get dozens of Seb K’s. The problem is that their appearance can vary tremendously. They can be pink, red, brown or purple. They may be flat or raised. Their size varies from 0.2cm to 2cm in diameter. The hallmark is their well-defined edge and waxy surface. 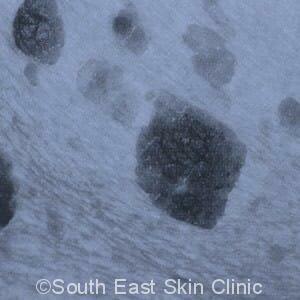 Dermatoscopy is very helpful indeed to confirm a Seb K and not a melanoma, viral wart or SCC. Many people ask for their Seb K’s are removed either for cosmetic purposes or because they catch on clothing. Moles, also called ‘Nevi,’ are harmless growths. We all get them. Most adults have 12 to 20 moles. Some appear at or shortly after birth whilst others develop in childhood. The peak time for them popping up is adolescence. Fewer moles appear in adults. 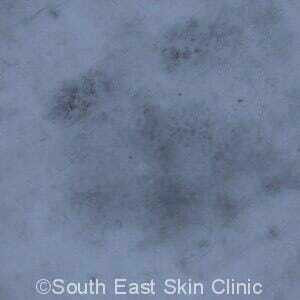 It is unusual for a new mole to appear after the age of around 40 and such a mole should always be checked carefully with a dermatoscope. Moles may become both larger and darker during puberty or pregnancy. Melanoma may develop from a mole or develop spontaneously. Get any changing mole checked. 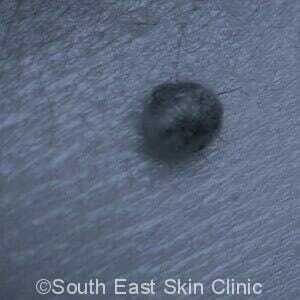 Skin tags are those fleshy tags of skin that we either love or hate – usually the latter! Many Like Seb K’s, they usually start developing after the age of 30. 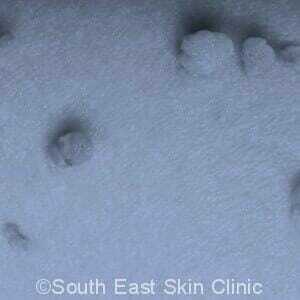 Around a quarter of adults have at least one skin tag. They tend to occur in areas that rub – under the arms, on the neck, or in the groin. They are more common in women and often found under the breasts. They are also more common people who are overweight. Skin tags may be hereditary. The tags appear to have a normal skin texture. They are attached to the skin with a ‘stalk’ and are therefore mobile. They are also easy to remove. Tags often rub against clothing and may become sore or inflamed. Around 75% of white people over 60 have at least one solar lentigo when they may be referred to by less tactful skin cancer doctors s an Age Spot.’ Solar Lentigo is a a response to past exposure to UV light and are therefore found most often on the face, neck, forearms and backs of the hands. The lesion is usually flat. The size varies from 2 to 20mm in diameter. 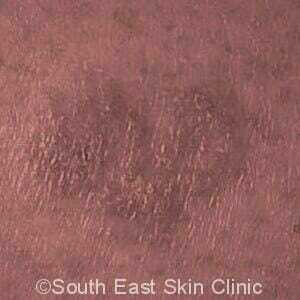 The brown color tends to be the same light to mid-brown colo throughout the lesion. The edge is well defined. 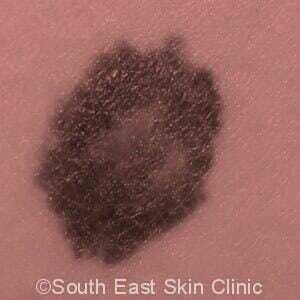 Solar Lentio may occasionally look like a skin cancer, particularly melanoma or IEC. Cosmetic treatments include hydroquinone cream or light cryotherapy.